Though the Western world is still in the process of acquainting itself with yoga, in India they’ve been subscribing to the practice since ancient times, with some estimates dating it to more than 5,000 years old. For those looking to strengthen their stretches, align their chakras, and hone their mindfulness, there are few better places to get immersed in the restorative yogic arts than Tamil Nadu. 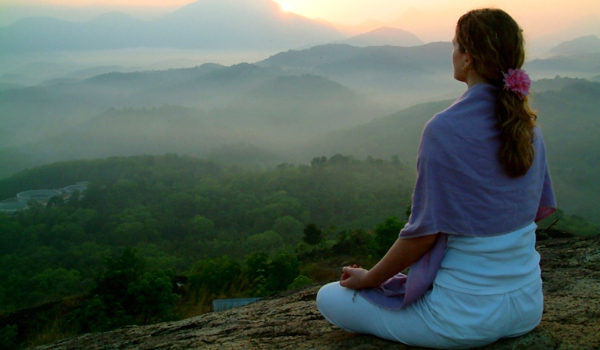 The southern state hosts a number of intensive ashrams, restful retreats, and other expert courses that are certain to give you a new understanding of the discipline. From downward dog and beyond, these five destinations for yoga in Tamil Nadu will leave you feeling fit and renewed. 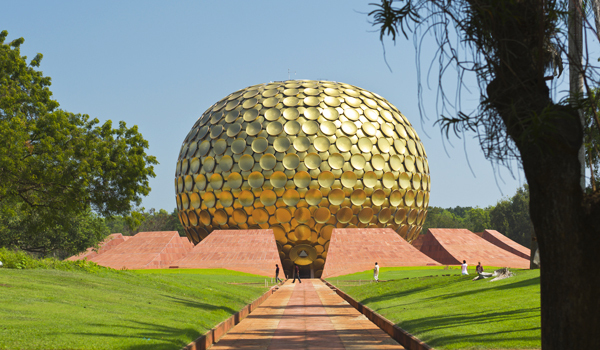 Auroville may be best known to Tamil Nadu visitors as a striking landmark – an experimental, utopian town near the border with Puducherry, it’s certainly unlike anywhere else in the country. 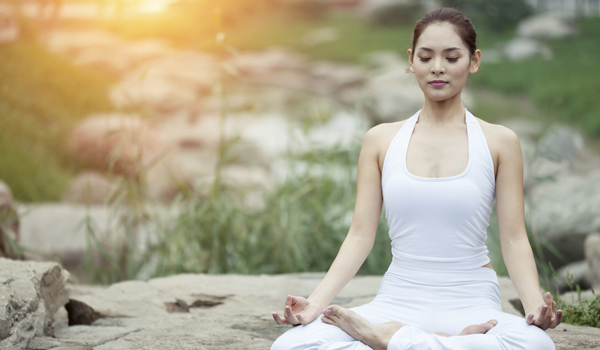 But for those looking to explore the yogic arts, it also serves as a one-of-a-kind backdrop. For those who are stopping by to soak in the town’s atmosphere, one-week classes or private yoga classes are available for guests. You’re certain to leave feeling more limber – and perhaps with a new world view, too. Hidden away in the scenic Nilgiri Mountains, Ayurveda Retreat Hospital promotes a three-pronged approach to wellness. The center’s Ayurvedic meals and therapies will restore your inner balance, its evening meditation sessions will clear your mind, and the yoga programming will ensure that you feel at your most radiant, inside and out. With professional healers on staff and lush, tropical nature all around, the South Indian destination promises rest and renewal. For students of all levels, there are few more desirable places to practice yoga in Tamil Nadu than the reputed Isha Yoga Center. Guided by the influence of Sadhguru, a reputed yogi, mystic, and spiritual leader based in South India, the Isha Yoga Center hosts programmes for both budding yogis (its Inner Engineering Retreat offers a wonderful and immersive chance to hone your techniques) as well as more advanced retreats for those who are already well-schooled in yogic practices. The center’s thriving community atmosphere, its sprawling meditation hall and beautiful grounds all assist in fostering a spirit of wellbeing. With a center accessibly located in South Chennai, the Krishnamacharya Yoga Mandiram offers a philosophy of so-called ‘Viniyoga,’ which here refers to yoga programmes that are tailored entirely to the individual practitioner – from personal goals to physical limitations, everything is taken into consideration to ensure that the guest enjoys optimal care and access to expert teachers. Guided by the philosophy of modern yoga guru Krishnamacharya, daily sessions as well as residential retreats are on offer. Settled on 12 bucolic, forested acres north of Madurai, the Sivananda Yoga Vedanta Meenakshi Ashram is ideal for those who are serious about practicing yoga in Tamil Nadu. Founded in honour of Swami Sivananda, an early 20th century yoga master, the ashram hosts multi-week ‘yoga vacations’ that are designed to promote complete relaxation and inner peace. In addition to the Madurai-based ashram, a number of the organisation’s other yoga centers can also be found across the country.